We are offering a flat Rs. 1500/- Discount on the price of MyOPD software. Plus, if you pay in the offer period, you will get 1000 SMS instead of regular 500 i.e. double the number of SMS. This offer will be valid only if you purchase MyOPD Software on or before 30th March 2019. Here is what is included in the Package? Windows based MyOPD Software with no restriction on patient limit and number of visits per patient. Click Help -> View Online Help from within MyOPD to learn to use MyOPD Software. Else, call us to schedule a training session. As a part of licensing, you get 1 year free remote support for the first year from the date of payment. 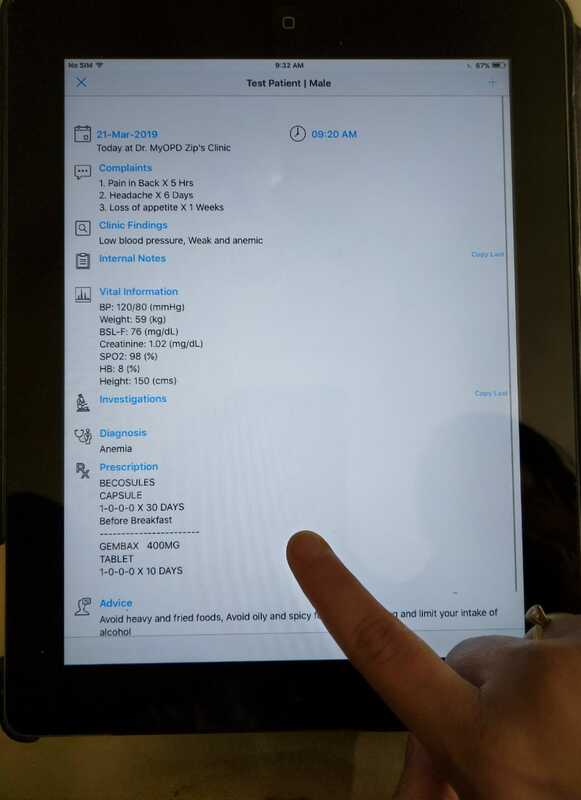 Android MyOPD Desktop Companion App with access to latest patient prescription. Patient Data is uploaded based on Mobile numbers you enter in the software. 1000 SMS/install, valid for 1 year, will be credited to your account on purchase of Software. Additional SMS have to be purchased separately. Software updates for 1 year from the date of payment. Following features are subject to AMC renewal from the next year. Android Software for Doctor and Patients. This Android version is used for viewing patient data. No entries possible. AMC is optional. AMC charges are Rs. 3700/year for Doctor only version and Rs. 4300/year for this version. If you are interested in OPD + IPD version, please get in touch with us. We have exciting offers on that version as well. If you pay before the offer date of 30 March 2019, you will receive a refund of Rs. 1500 in your account. Want to get trained before buying? Call us. We will schedule your online training / demo session and answer all your questions before you decide whether MyOPD is the right software for you. Share this offer to your friends by recommending on Facebook button below and get additional 500 SMS. Mention #MyOPDSoftware tag when you share on Facebook. This entry was posted in Uncategorized on March 25, 2019 by Team MyOPD. This Holi marks a special day for us. We got excellent response to our MyOPD ZIP Practice management app on Android. It has more than 9000+ downloads as we write this article. After the success of our Android version, we are happy to announce that we are releasing the iOS version. The iOS version is under review and if all goes well, should be out in the next couple of days. We are hugely excited for this new development and would like to share this with you. Here is another preview of the MyOPD ZIP on iPad in Portrait mode. Stay tuned for updates on this space. This entry was posted in Uncategorized on March 21, 2019 by Team MyOPD. Our team members when on their visit to the town of Mahad decided to meet up with one of our esteemed client Dr. Himmatrao Bawaskar. We had the privilege of meeting Dr. Bawaskar and Dr. Mrs. Bawaskar where they showed us around their humble Healthcare and Research center. Documentation: Dr. Bawaskar has a very process oriented approach to doing things. 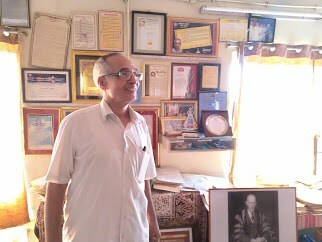 He maintains and documents his cases which help him in his research. He has done this right from the very beginning of his practice. Research: Having done his documentation, he doesn’t leave those documents to be forgotten. In fact, they feed him into his research which helps him to devise new approaches and methodology. After all, he has devised a method to treat scorpion bite after thoroughly analyzing why the earlier treatments were not working. He has multiple publications under his belt and has also published in the revered journal for medical practice – The Lancet. He also his chapters in the API Book of medicine which he showed us. Patient Education: His patients for snake and scorpion bites are tribals and rurals. Giving the right anti-venom is the key depending on the type of the bite. He has prepared various models of snakes – Cobra, Viper, Krait which he shows to his patients / their relatives to help them identify the one who has bit. Trophies & Library: An entire floor at his Hospital is filled with Trophies he has earned and the Reference Books. There are tons of Feedbacks and Thank You letters from his patients. What amazed us is he has not kept any trophy in his consultation room. According to Dr. Bawaskar, if his patients see those many trophies, the patients may get overwhelmed and Dr. Bawaskar the person may eclipse Dr. Bawaskar the Doctor. When in consultation room, the patients are there to meet Dr. Bawaskar the Doctor. Such thinking is rare these days. Staying Simple: His told us point blank – It is hard to stay simple. Try if you can. We bow down to such a personality who has improved healthcare through research. Dr. Bawaskar has shown that research can be done in a rural setup as well. 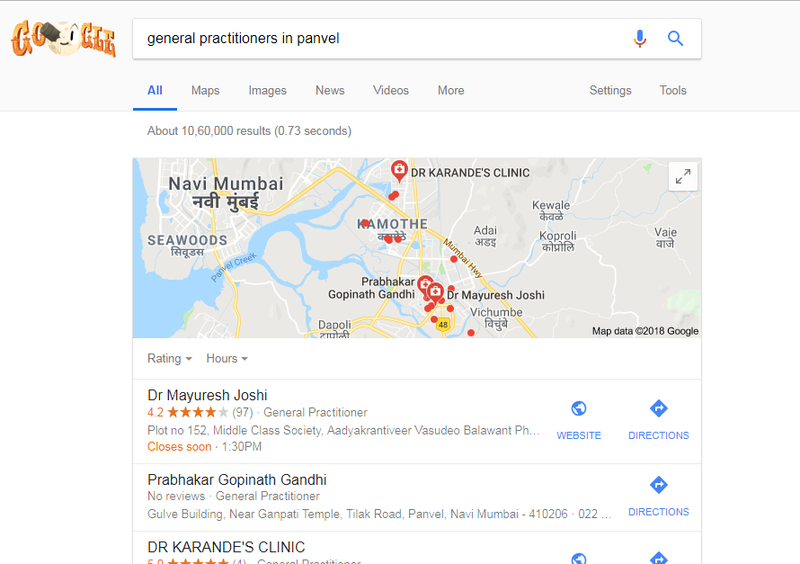 Dr. Bawaskar Practices in the town of Mahad of Raigad District – Maharashtra, India. 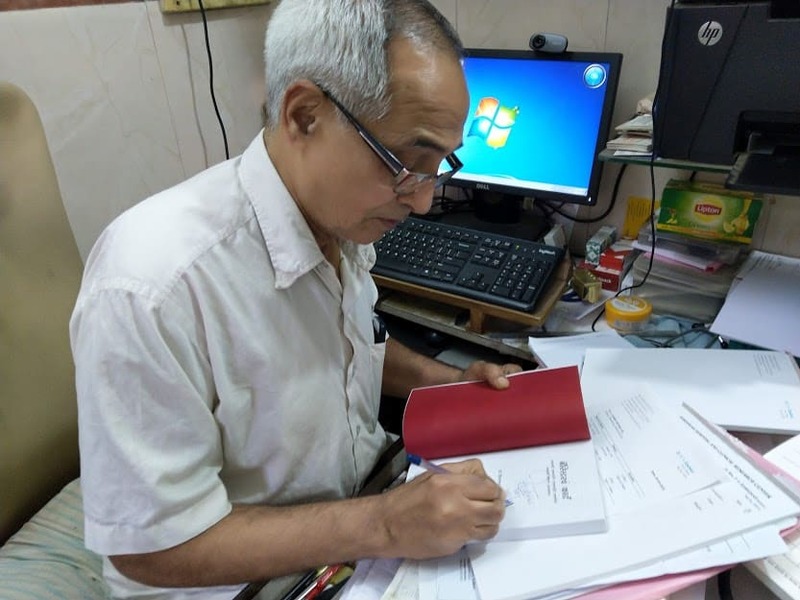 This entry was posted in CustomerStories and tagged #Dr.HimmatraoBawaskar, #DrBawaskar on February 27, 2019 by Team MyOPD. Bed Charges: Patients get admitted to Beds which have different rates. The software needs to account for the rate of the bed based on stay of the patient. Plus, there are transfers to ICU and different category of beds like General, Semi-Private, Private etc. This needs to be handled properly. Consultant Charges: Once admitted, a patient is seen by one or more consultants. Based on the rate of the consultant, the Consultant charges have to be calculated. Consumption of various services: Different services are rendered to the patient during the stay. These are Nursing, Physiotherapy and so on. The bill has to account for these charges as well. Handling of Advances given by Patient: Patients pay the Hospital partial amounts during the duration of the stay. These have to be adjusted during the final bill settlement. This entry was posted in BoosterDose and tagged #hospitalbillingsoftware, #hospitalsoftware on January 1, 2019 by Team MyOPD. Option 1 => Starter Pack: No monthly, annual charges. We often got requests from Doctors to create a simple Prescription printing app. An app allowing Doctors to neatly print or share a prescription with their patients. For such Doctors, all other functionality was not required. So the Premium Pack was not their requirement. Capture Patient Medical Data: Capture Complaints, Vitals (Height, Weight, BP, BSL and much more), Clinical Findings, Investigations, Diagnosis, Rx, Advice to Patient, Follow-up Date. Add Medicines: Add your own medicines as you practice. Get suggestions on reusing the same medicine. Group multiple medicines together to prescribe in one tap using the template feature. Copy Medicines and conditions from last visit to avoid entry time. Print/Share a professional looking Rx: Print the Rx for Patient on plain paper or your own letter head. Rx in Multiple Languages: Print/Share Rx instructions in the language of your patient. MyOPD ZIP currently supports these languages – English, Hindi, Marathi, Kannada, Gujarati, Tamil, Telugu, Malayalam, Bengali, Punjabi, Odia, Arabic and Urdu. Patients understand the Rx better with the language they know best. Print/Share Referral Letter: In case you have to Refer the Patient to other Doctor. Print/Share Medical Certificate: Print a professional looking leave of absence certificate for the patients. One visit per patient: So you can enter a new visit and check the details of the last visit of patient. Referral Letter or Medical Certificate issued in latest visit of a patient will be stored. Works offline: Continuous internet connectivity is not required. Works offline too. One time payment: Simple pricing. Payments processed by Google and are entirely safe. No hidden charges. No monthly or annual charges. Use as much as you want for the features we support under Starter Pack. Excellent Memory management: MyOPD ZIP handles space smartly. You can easily enter around 10,000 patients typed data without an issue. Handle Device change: Allows you to change your device without buying the app again. Please note though, your data is backed up on secure cloud only when you go online. So ensure the old data is backed up before the change of device. In any case, changing one’s phone or tablet is a once in a year activity. Unlimited Visits per Patient: Store every encounter with the patient. See all previous visit details with Premium Pack. Starter Pack stores latest visit only. Capture Patient Photos: Before and After photos can be added and searched with ease. With a tap, new patients can be shown similar cases handled in the past. 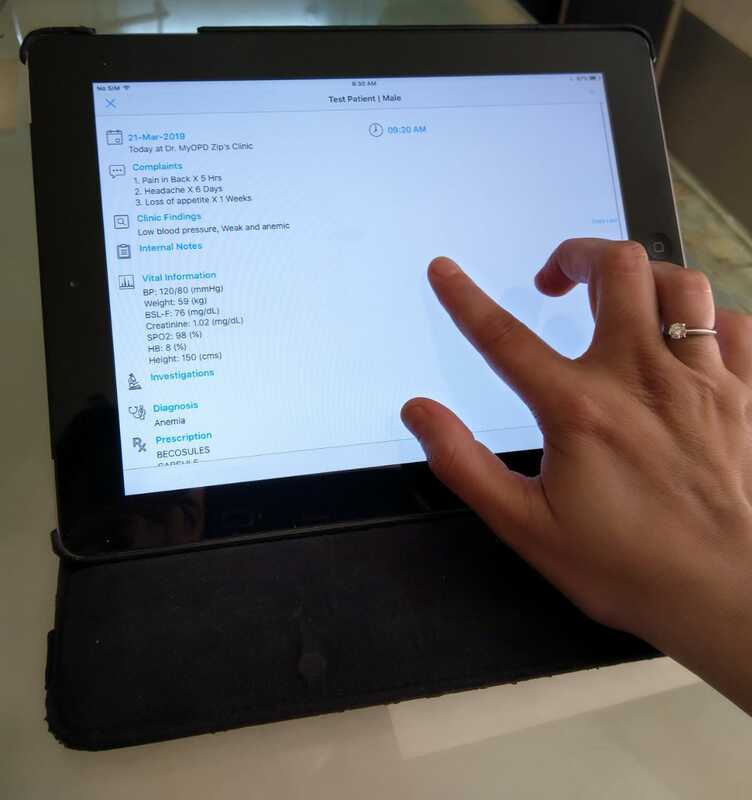 Attach PDFs: Documents you get from labs can be easily added against the patient. Please note, photos and documents take more space than regular details entered by typing. Print/Share Payment Receipts: Create Itemised Receipts based on Services rendered in the clinic – Consultation, Dressing, Vaccination etc. Send SMS Reminders with Phone SIM: Remind your patients at the right time of vaccination, ultrasound or a check-up. Get complete control by choosing the SIM you want to use for sending SMS. Note: SMS are sent a day before the actual date of Follow-up. So when you are testing this feature with trial, enter the Follow-up date 2 days later. Group SMS: Group patients and send them a common update via SMS. MyOPD ZIP turns your phone or tablet into a powerhouse which is put to real use in your area of expertise. Tap on ‘Get Premium‘ button within MyOPD ZIP App. Choose the right version. Complete the payment using Credit/Debit Card or Net Banking. Should you have any questions, simply reply back to this email. Finally, we would like to thank you for giving us an opportunity to service you. If you are not interested in future emails from us, simply reply back stating so. We will not bother you again. Tap below to check if you are using the latest updated app. This entry was posted in Uncategorized on June 27, 2018 by Team MyOPD. 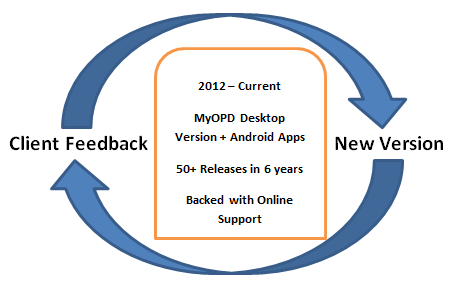 MyOPD Practice Management Software for Doctors was first released in the year 2012. Since then it has been a great journey to provide the software to individual Doctor’s clinic in India and abroad. This entry was posted in Uncategorized on May 2, 2018 by Team MyOPD. Improved Medicine Search and Receipt functionality. Get the free trial today! This entry was posted in Uncategorized on April 27, 2018 by Team MyOPD. Use Coupon HAPPYDIWALI2017 to get discount on the MyOPD ZIP – Practice Management App. 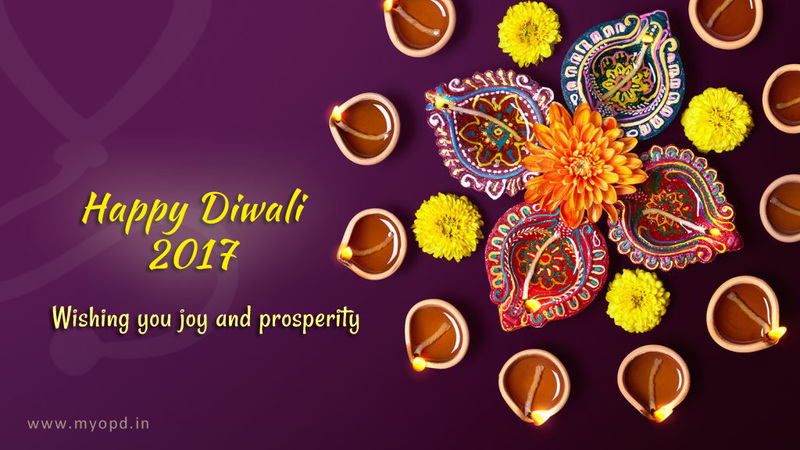 This entry was posted in Offers and tagged #Discount, #doctorsoftware, #emr, #happydiwali, #happydiwali2017, #Offers, #practicemanagement on October 17, 2017 by Team MyOPD. Use coupon code HAPPYDIWALI2017 for Discount while purchasing MyOPD ZIP app. This entry was posted in Informative on August 21, 2017 by Team MyOPD.